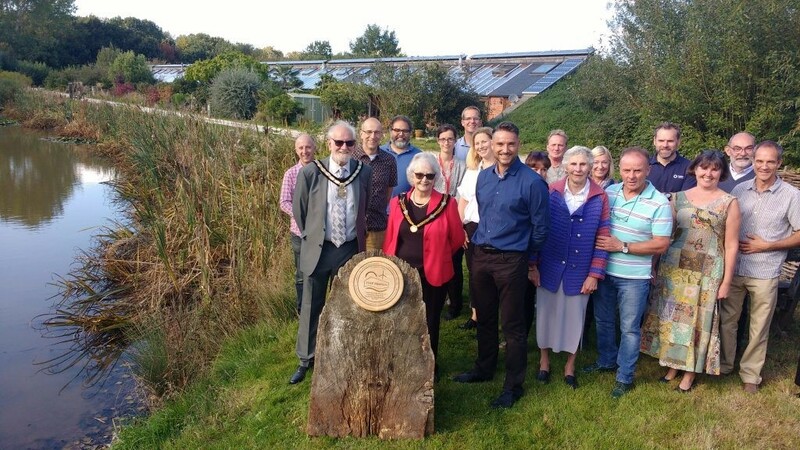 Hockerton Housing Project (HHP) in Nottinghamshire is celebrating its 20th anniversary this year. To mark the occasion it welcomed the Chairman of Newark and Sherwood District Council, Councillor Keith Walker, to unveil a plaque commemorating the legacy of three parties. The project would not have got off the ground without an enlightened landowner, pioneering architects and a visionary local authority. The homes at Hockerton Housing Project (HHP) use 20% of the energy used by a similar-sized house built at the same time, for the same price. The Project also meets much of its remaining energy demand through onsite wind turbines and solar PV. This idea caught on in its wider community. In 2009, the parish of Hockerton invited the trading arm of HHP to manage the installation and management of a community-owned wind turbine. This now generates power equivalent to that used by the village and raises funds for the sustainable development in the community. See the events section of this newsletter for details of upcoming tours of the project. A local potential community-owned hydro project is on hold again following new barriers to the project from government agencies and departments. Amber and Derwent Valley Community Energy (ADVyCE) would like to install a small turbine on an existing industrial site at The Wire Works. The turbine would be owned by members of the community and has the potential to generate 1.3 million kWh, reduce carbon emissions by 683 tonnes and power nearly 400 homes annually. It would also provide funding for local community work. ADVyCE first proposed the project in 2011 and began work on the necessary applications, but in 2015, the government made unexpected changes to the Feed In Tariff (FIT), which pays for energy produced by small scale renewable projects. The project was shelved for a few years. In early 2018 the group revisited their plans and decided to have one last go at gaining Ofgem accreditation and a guaranteed FIT for the life of the project before the closure of the FIT support scheme in March 2019. 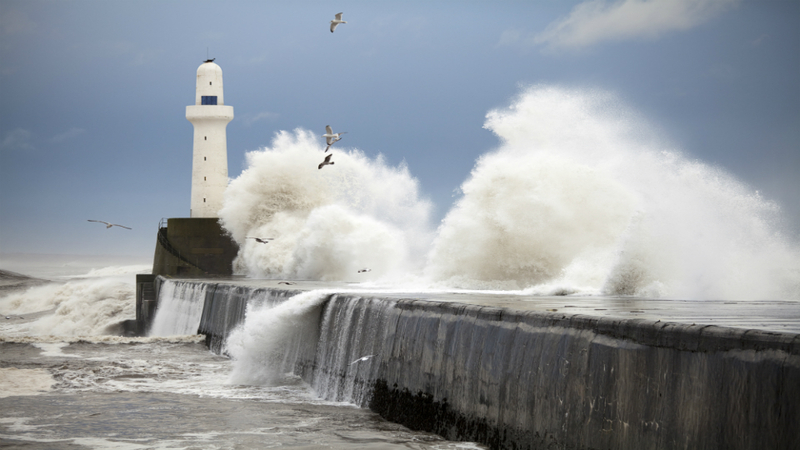 They recently resubmitted an abstraction licence pre-application to the Environment Agency. Unfortunately, the EA has changed their conditions and requirements, compared to their 2013 response, to such a degree that the project cannot progress. There is now a requirement for a fish pass to be designed, approved and included in the project, plus additional survey’s and studies. In addition, changes in policy mean that the group cannot be told what the business rates on the project will be until after it is complete, making it impossible to ascertain if the project will be financially viable. It is possible that the group could install the turbine and then find that all the profit raised for Community Benefit aspect of the project would instead have to be paid in Business Rates. The group will now be lobbying three MP’s whose constituencies would have benefited from the scheme, requesting that feedback goes to the three government departments that the group believes have impacted the project significantly (BEIS, DEFRA and MHCLG) and to the Prime Minister. ‘Many people and organisations are also working hard across the country to find new ways of developing Community Owned renewable energy projects with new developments such as battery storage, community power purchase agreements, Energy Local supplies, EV car charging or hydrogen generation. These models are being developed with a range of renewable technologies, but it still seems that hydro power projects will continue to struggle under the currently regulatory climate. The British public wants urgent action on climate change, and strongly supports holding fossil fuel companies and the UK government accountable for the negative effects of climate change, a ground breaking new survey from ClientEarth reveals. After a record heatwave in the UK and northern Europe, the majority of British people think fossil fuel companies, whose products contribute directly to climate change, should be made to pay damages for their role in contributing to global warming (71%), and also that the UK government must do more to help prepare for and adapt to climate change (62%). Undertaken by YouGov and commissioned by environment lawyers ClientEarth, the survey involved more than 2000 adults, and aimed to capture British public sentiment towards who should pay for climate change, fossil fuel investments in personal finance and what the future of Britain’s energy should look like. More than two thirds were in favour of breaking up the Big Six’s market share to allow smaller, cleaner, and locally owned energy systems to develop (68%).